This bath bomb is similar to Never Mind the Ballistics from the Christmas range as it's half-covered in a thin layer of bath melt. 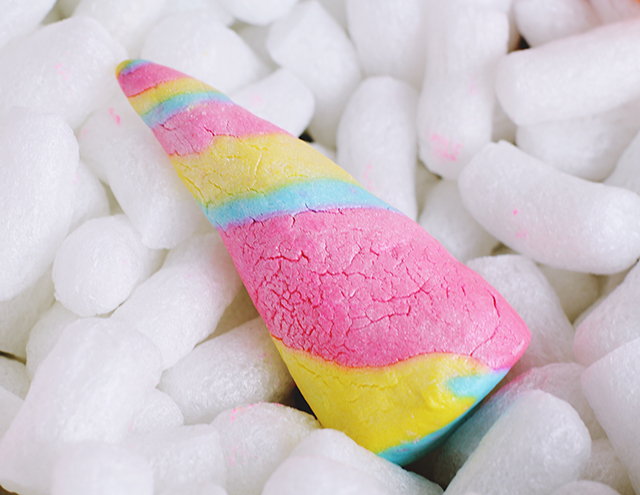 This melt dissolves much faster than the rest of the bath bomb, meaning it fizzes round and round, giving the name (presumably), and filling the bath with pretty pink and yellow swirls that merge to form a pinky-orange colour. Be warned: It did stain my bath a little! The addition of the melt did make my skin feel soft but also a little greasy, which is a surprise considering there's only a small amount of the bath melt. The fragrance sounded interesting as I wasn't too sure what the combination of lime and fennel would result in but, as it turns out, it's just like sherbet lemons. Unfortunately the scent doesn't linger on the skin too well. 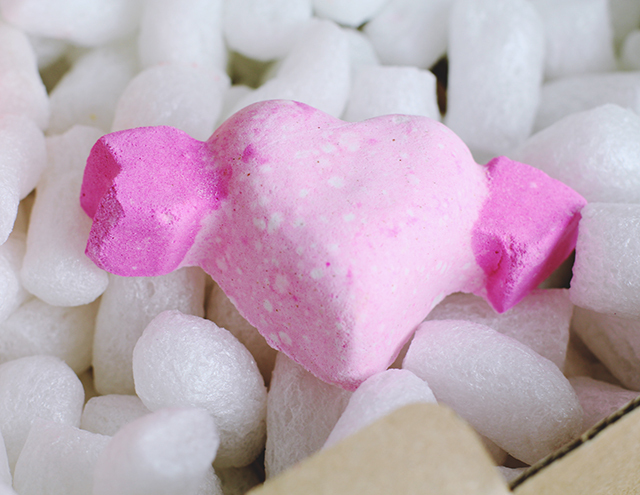 This bath bomb is so adorable and it has a super-delicate fragrance of rose and violet. It's very subtle and floral but definitely very romantic. Rather than fizzing like a normal bath bomb, Cupid slowly foamed up and left the bath a quite dingy pinky-grey shade which I wasn't really too keen on. Still, it's good for those occasions when you don't want an overpowering scent. 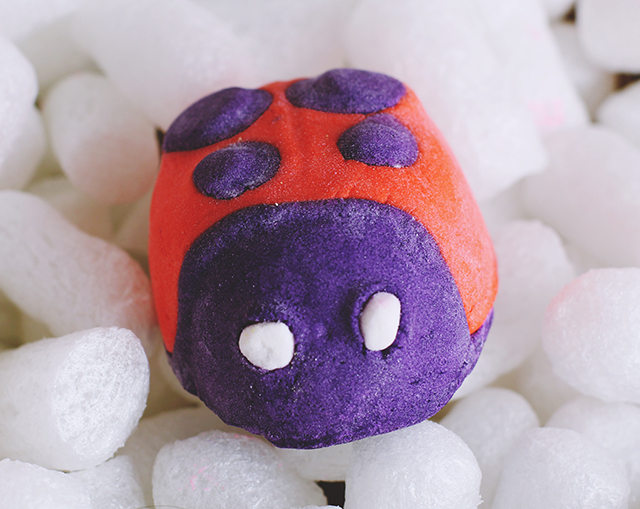 Ladybug is one of my favourite Lush products ever so I'm chuffed he's returned (although I'm convinced he was part of the Mothers' Day range last year!) As you can see, the ladybug design is absolutely adorable but that's not the only reason I love it. The mix of geranium and peppermint may sound unusual but it smells divine- a strange minty floral concoction which is both stimulating and luxurious. Half a bug is enough to produce a bathtub full of bubbles and the bathwater turns a pinky orange. Like Ladybug, this is one of my favourites so I've stocked up! 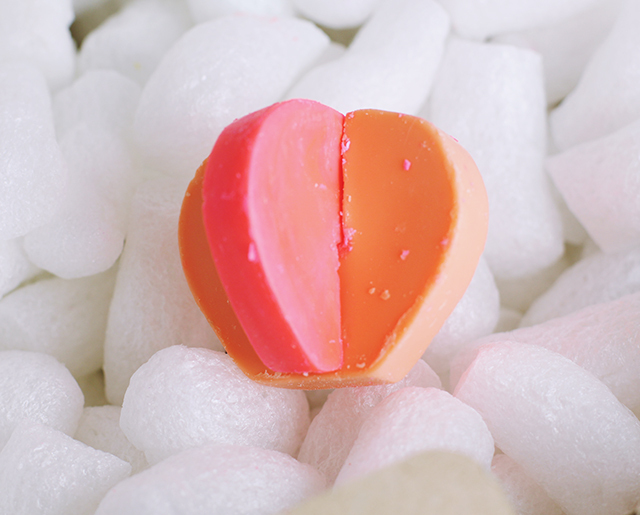 The red hearts are cocoa butter melts which leave skin super nourished, and the bath bomb is packed full of glitter and red (dissolvable) confetti which adds a fun element. It fizzes really quickly, although the hearts take a little longer to dissolves, leaving the water milky white. 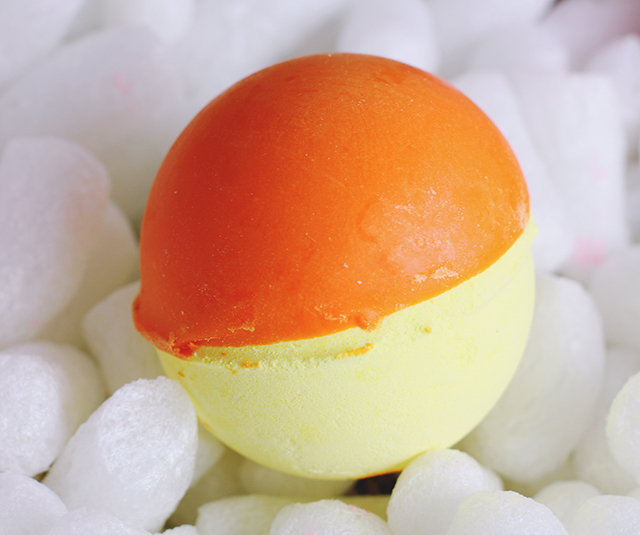 Initially, the fragrance is citrusy but as the cocoa butter melts, it starts to take on more of a white chocolate note. It feels pretty indulgent and the scent lingers on the skin for ages. Who doesn't want to smell like chocolate? This cute melt is cleverly designed like a jigsaw puzzle, with the two heart-shaped melts slotting together to form a more geometric structure. Since they're different colours, you'd expect them to be different fragrances but unfortunately that's not the case. However, you can use them separately so you get two different baths out of one product, which is what I did. As you can imagine, the pink half left the bathwater a rosy pink while the orange was... well, orange. It melts quickly, without leaving behind any lumpy bits like you sometimes get with Lush melts, and it leaves skin soft but with no greasiness whatsoever. Another bonus is that it didn't make my bath slippery, which is a first! When I used these melts, I picked up a rose fragrance but it would appear that the main notes are actually apricot and almond. Definitely smelt like roses to me though! 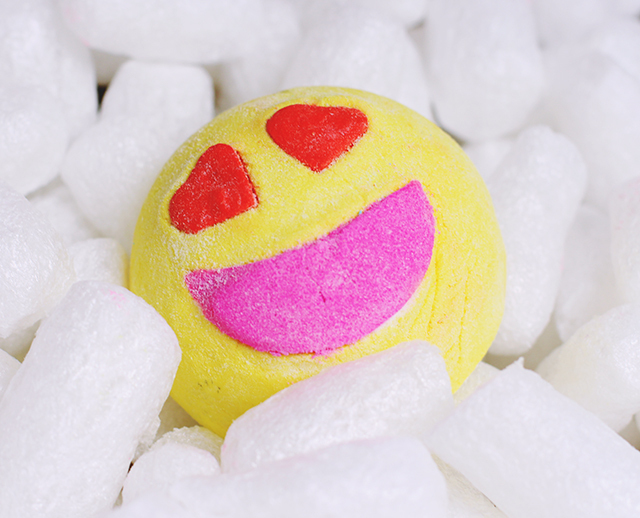 I've seen a lot of people talking about how adorable this emoji-inspired bubble bar is but, actually, I think it's a little creepy. Something about the smile seems a bit sinister. Unfortunately, that's the least of my worries with this product. It's super crumbly so when I picked it up, his entire face immediately fell in the bath (didn't help with the creepiness tbh). Then there's the fragrance which is... quite something. It reminded me in a way of Party On shower jelly- something about the sharp herby notes- but it turns out that I couldn't be more wrong. This has three main ingredients- lemon (great), geranium (great) and petitgrain (gre... wait, what?) I can only assume it's this last ingredient that gives the bitter, almost acrid smell because I have no idea what it is and I've never experienced a smell like this before. It's not good. 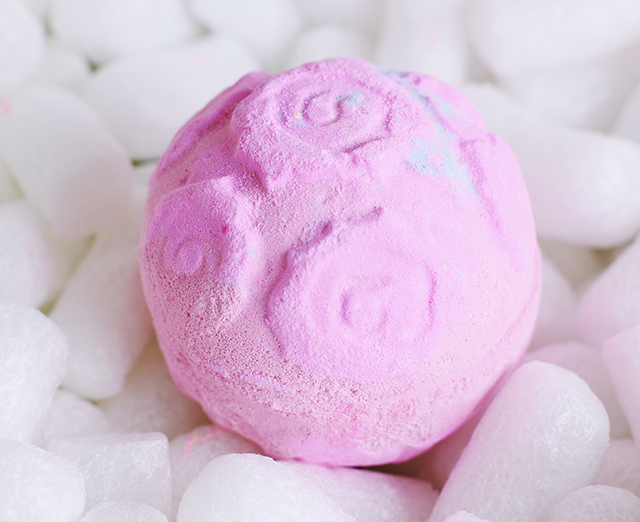 Rose Bombshell is a classic, and you can't go wrong with rose fragrances for Valentine's Day. It fizzes incredibly quickly- I swear I turned my back for a second and when I looked round, it had disappeared- but makes the bathwater a pretty rosy pink with a simply, but strong, rose scent. The only problem I have is that last year they added petals that are released into your bath and they're just plain annoying. They clog up the overflow drain and you have to fish them all out at the end. Just stick to nice, simple bath bombs and I'd be much happier! 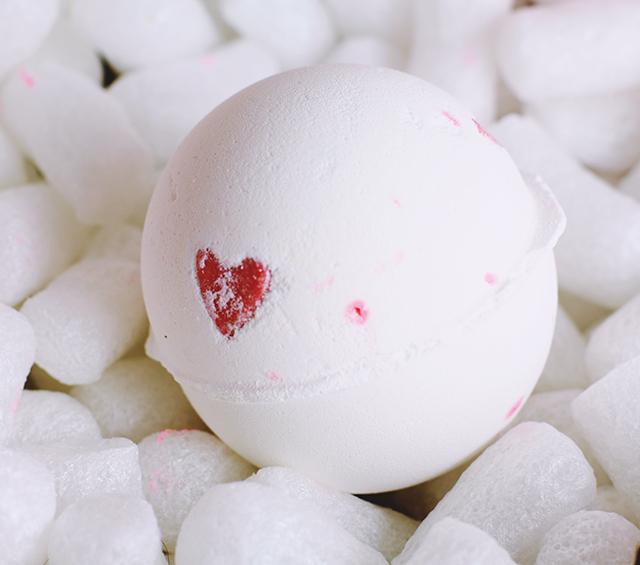 You just reminded me I have a Cupid bath bomb hidden away 'for Valentines day' - - better late than never, right?